Fusarium head blight is showing up in many wheat crops and should be taken into account during harvest, the Foundation for Arable Research (FAR) advises. There have been widespread recent reports of fusarium head blight (FHB) in wheat crops throughout Canterbury, the foundation says. Fusarium head blight of wheat, also known as head scab, is most easily recognised on immature heads where one or more spikelets in each head appear prematurely bleached. Sometimes large areas of heads may be affected, and where infection is severe, pink or orange spore masses can be seen on diseased spikelets. Fusarium-damaged grains are pink or chalky white and shrivelled. This disease can cause significant yield losses where conditions favour it and grain from affected crops may be less palatable to stock than healthy grain, perhaps containing mycotoxins (a toxin produced by fungi). The Foundation for Arable Research says it is important to know that not all species of Fusarium produce mycotoxins. F. crookwellense, F. culmorumand F. graminearum can produce mycotoxins but other species are not considered major producers. The incidence of different species of Fusarium fungi in New Zealand grain varies from year to year and by grain type, harvest date, region and the weather conditions in the season. A survey in 2000 found that the Fusarium species present in Canterbury were not major producers of mycotoxins. Samples from two wheat crops grown near Methven in December 2018 were identified as Monographella nivalis (snow mould), a species usually included with the Fusarium group of fungi that does not produce mycotoxins. 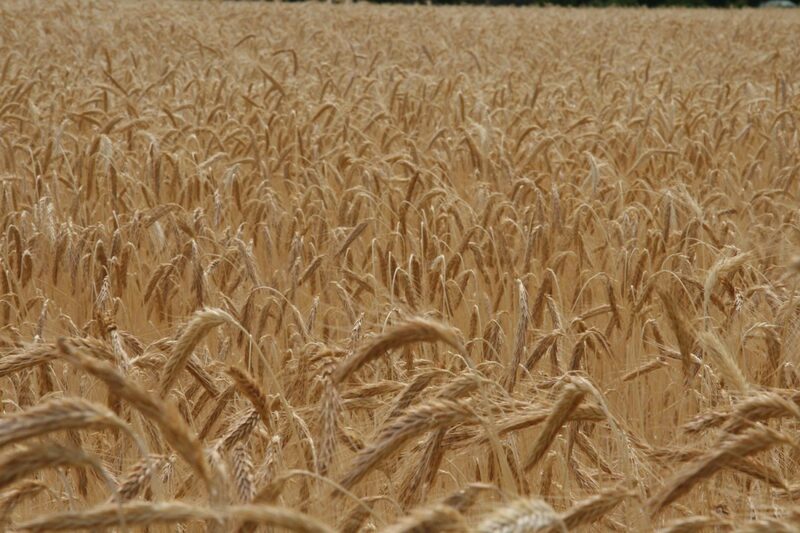 But because FAR does not know if all the recent reports of FHB are caused by non-mycotoxin producing species, growers are advised to take precautions to minimise the risk of harvesting and storing Fusarium-contaminated grain. Wet weather promotes Fusarium development and during flowering (GS60-69) crops are particularly susceptible to head blight infection. The higher the rainfall through flowering the higher the risk. Rainfall through December was high in Canterbury ranging from 62 mm at Chertsey to 177 mm at Methven. At harvest, Fusarium mycotoxins may increase if wet weather causes delays. Also, mycotoxins may increase if the grain has a high moisture content in storage. Harvest Fusarium-affected wheat crops as soon as possible once ripe. Consult the combine manual. Combine adjustments should follow the manufacturer’s manual when first going to the field. Once in the field, operators should invest the time to sample the grain and make adjustments. The most important adjustments include concave clearance, screen openings and cylinder and fan speeds. This is particularly important when dealing with compromised grain quality. If it is determined that grain quality is not an issue, more conventional settings should be used to minimize grain loss. Many, but not all, Fusarium-infected kernels are shrunken and have lower densities. Increasing the combine’s fan speed can greatly increase the number of lighter kernels blown out the back of the combine. Harvest and store grain with fusarium contaminated grain separately. Good farm practices will minimise the risk of mycotoxins. Damp grain needs to be dried to minimise risk.